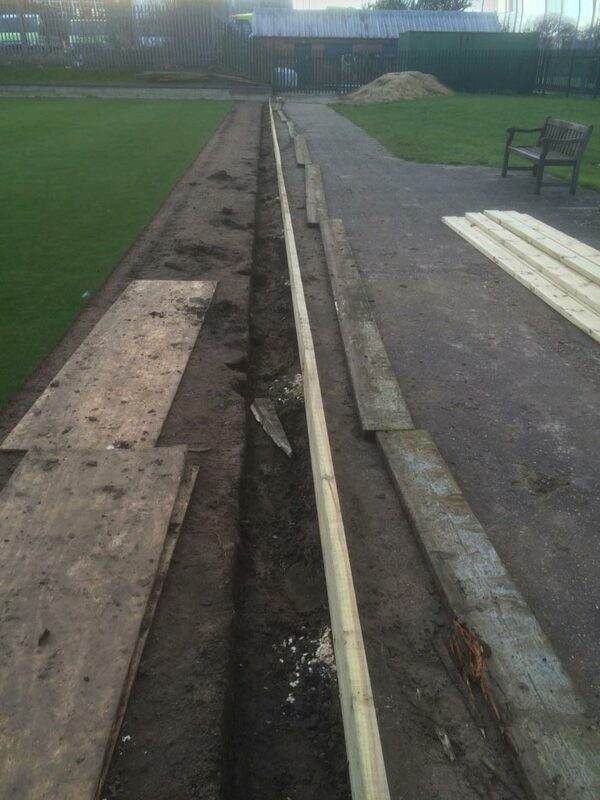 The timber edging on a bowling green can rot which leads to the perimeter of the green sinking. 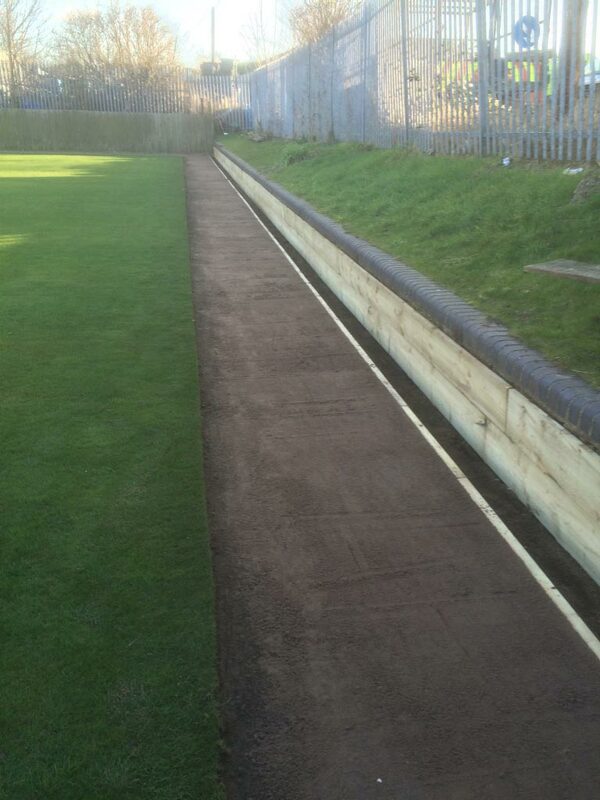 Gainsborough Bowling Club faced this issue on their two greens and with our experience in this area we were asked to rectify the problem. 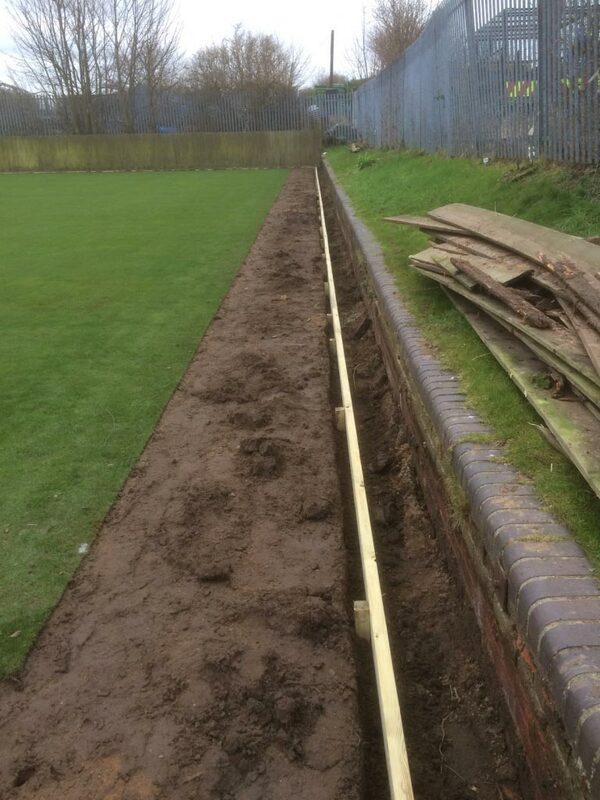 We cut a 1.2m border of turf from around the green and removed the old edging. 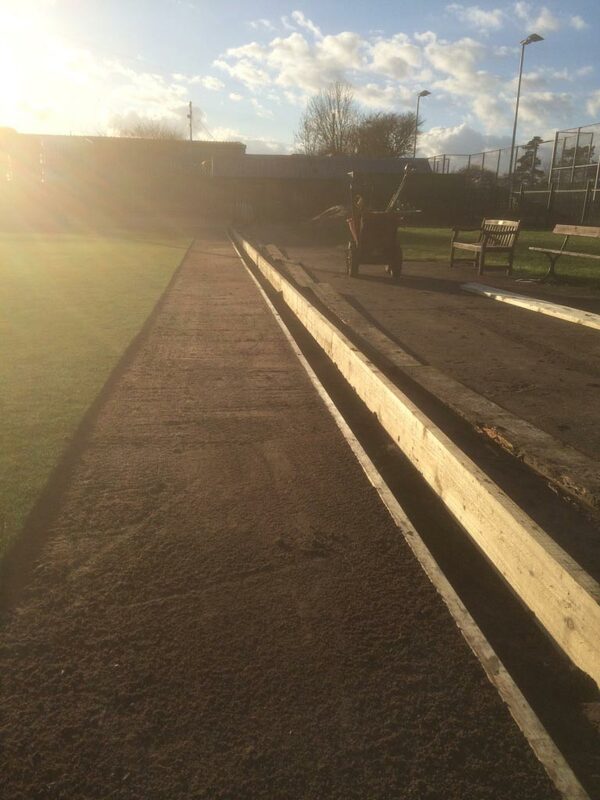 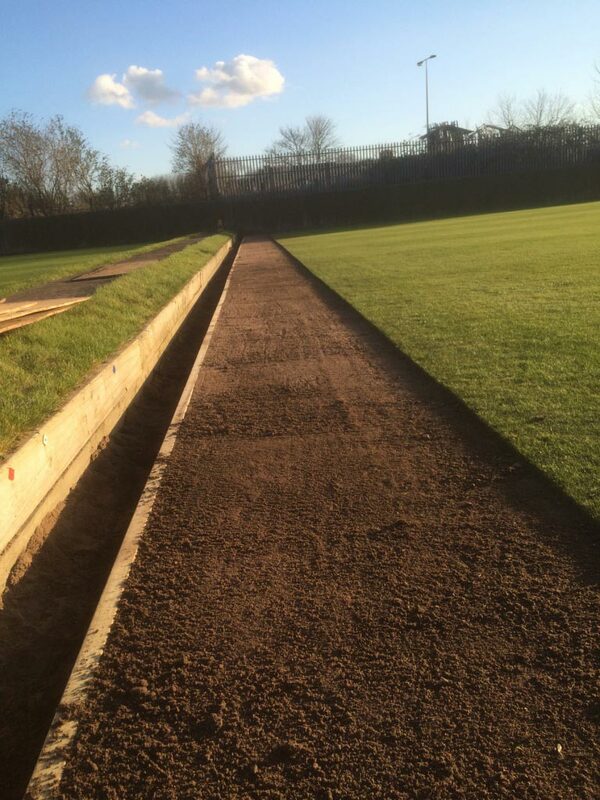 The new edging was installed with laser equipment to ensure the correct levels. 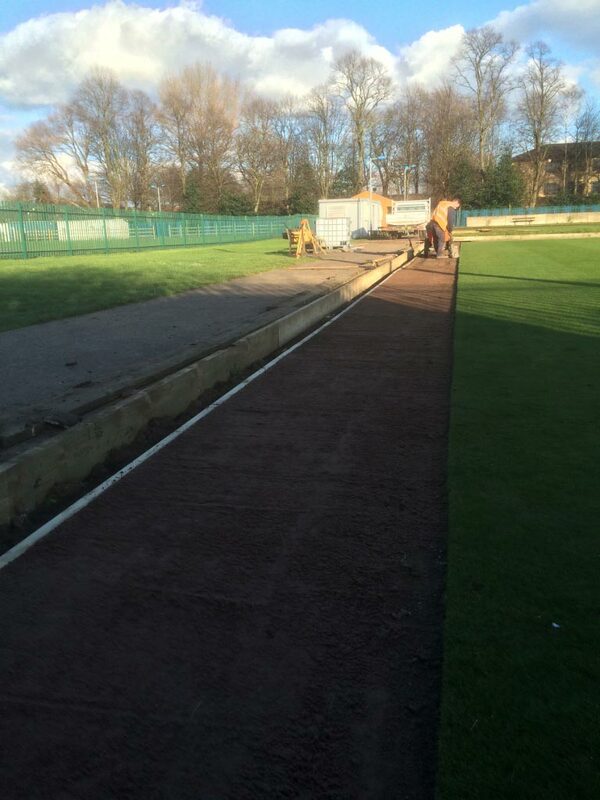 The sunken areas were built up and levelled against the new edging and Tillers greens turf installed.